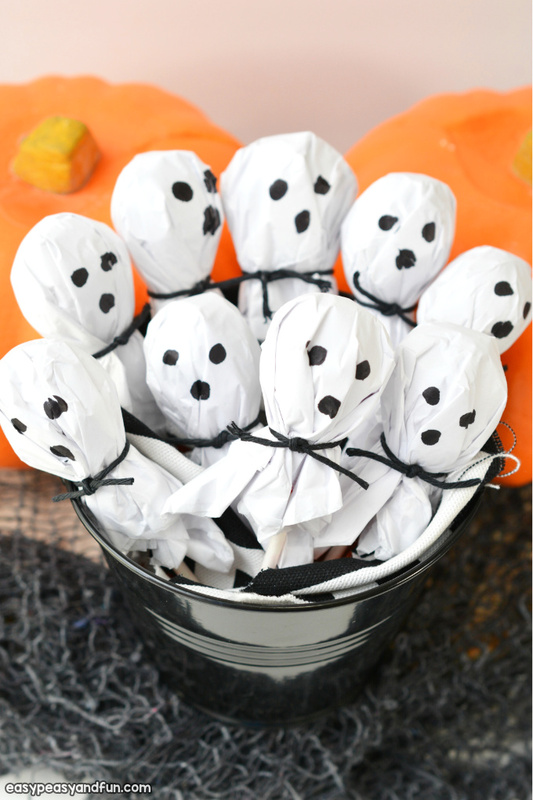 Making a perfect Halloween centrepiece (and a practical one) for your Halloween table doesn’t need to be hard – just make these spooky DIY Lollipop Ghosts decoration. 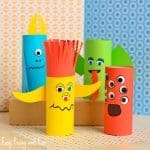 You can make these for the kids (such a cute idea for the classroom) or have the kids make them as they trully are easy. 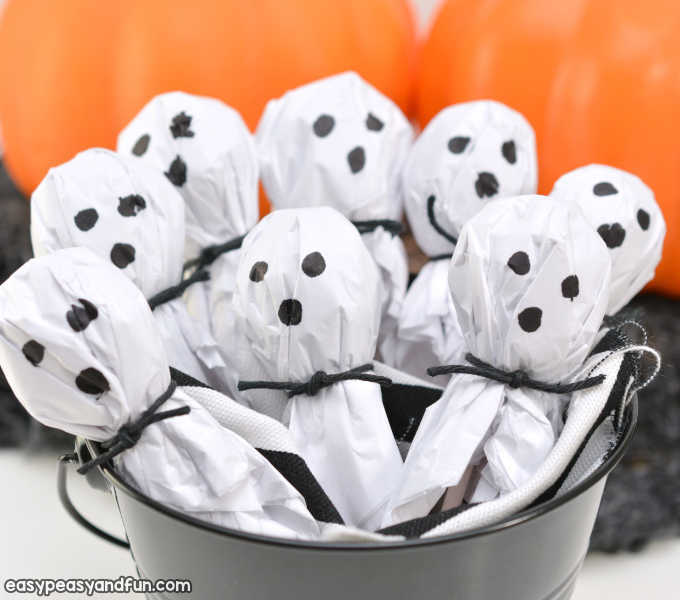 These little lollipop ghosts will make a great centrepiece on your Halloween dinner table or a sweet party favor at you Halloween party (perfect for classroom Halloween party). 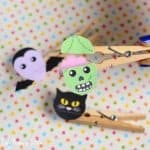 They are inexpensive and really quick to make which makes them even more awesome. 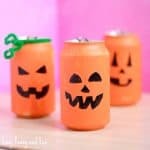 While ghosts are certainly the easiest to make, you can also play around a little and make other characters too – Jack’o-lanterns, vampires, zombies and more. 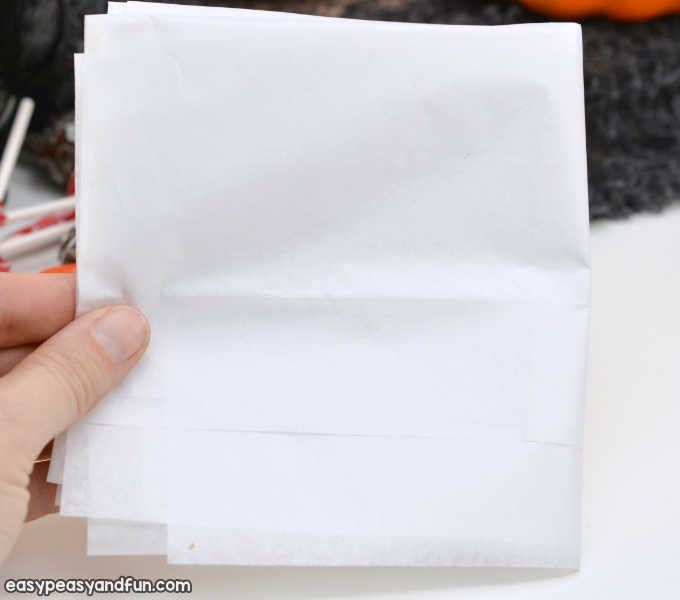 Cut a sheet of tissue paper in half lengthwise. Fold it in half and then in half again until you end up with a small square. 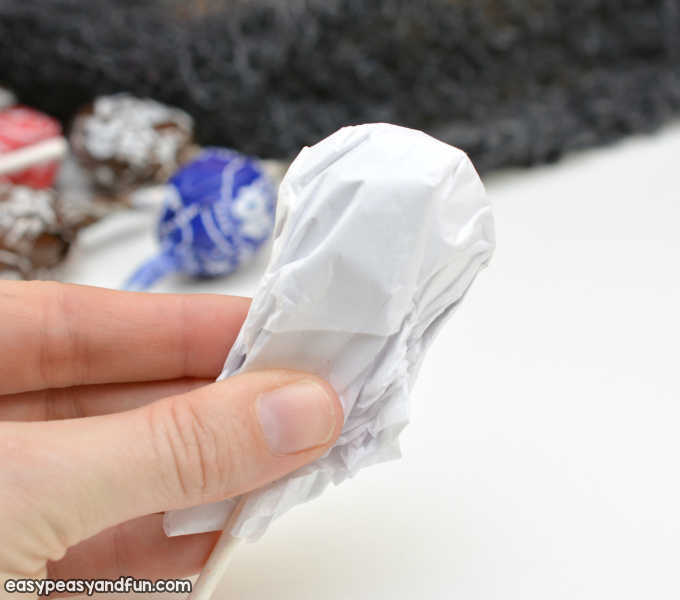 Fold the square of folded tissue paper over the top of a lollipop. 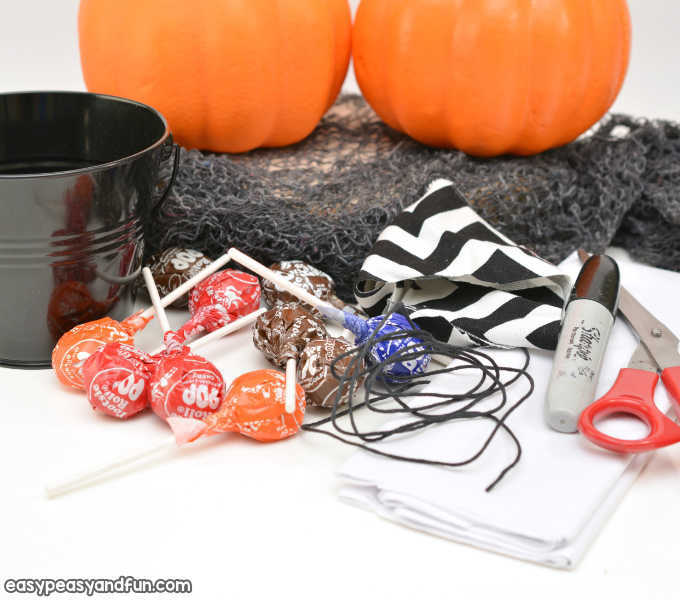 Squeeze it around the top of the lollipop to conform it to the shape of the lollipop. This forms the head of your ghost. 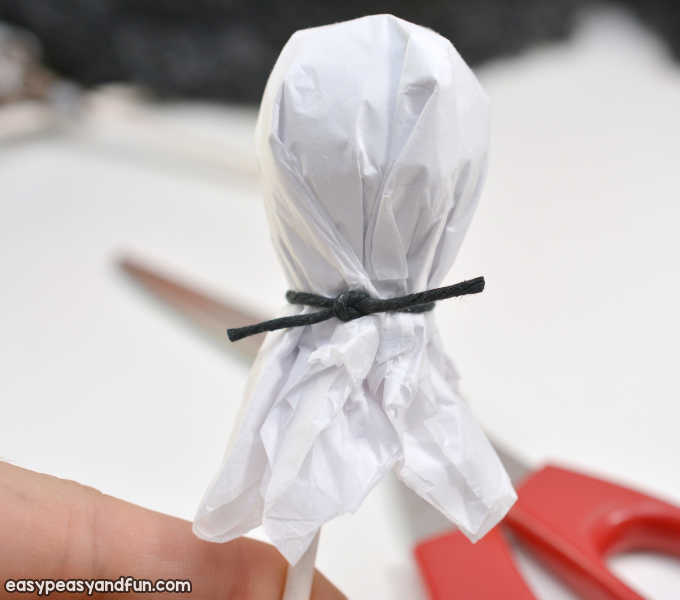 Use black ribbon or thread to tie around the base of the head and secure it well over the tissue paper. Cut the ends of the ribbon or thread off with some scissors. 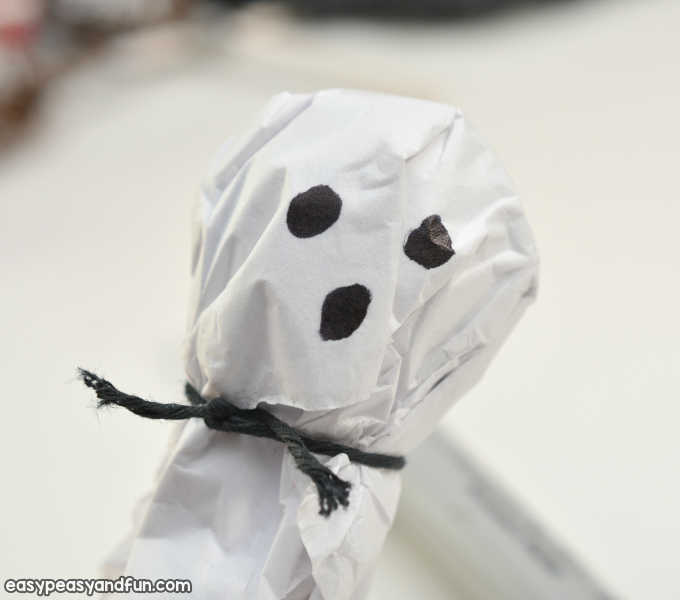 Use a black marker to make two circles for the ghost’s eyes and one for the ghost’s mouth. Repeat with all of the remaining lollipops. 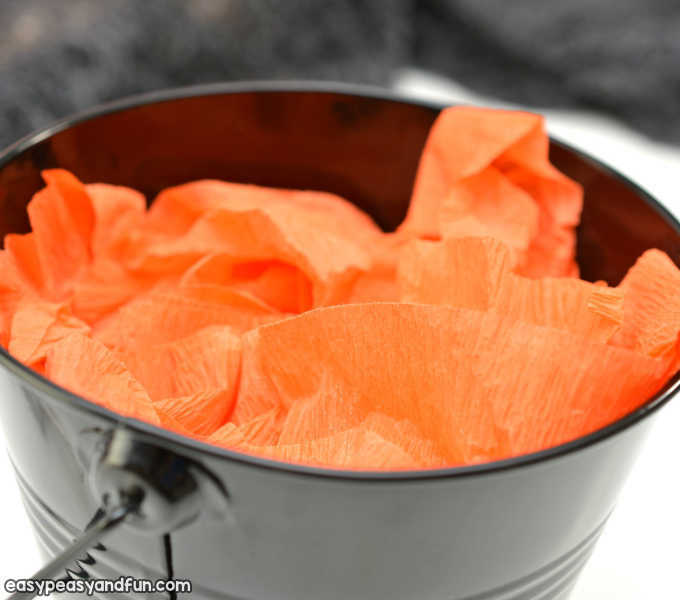 Place some tissue paper into the bottom of a festive pail, jar or other holder that you wish to use for your centerpiece. 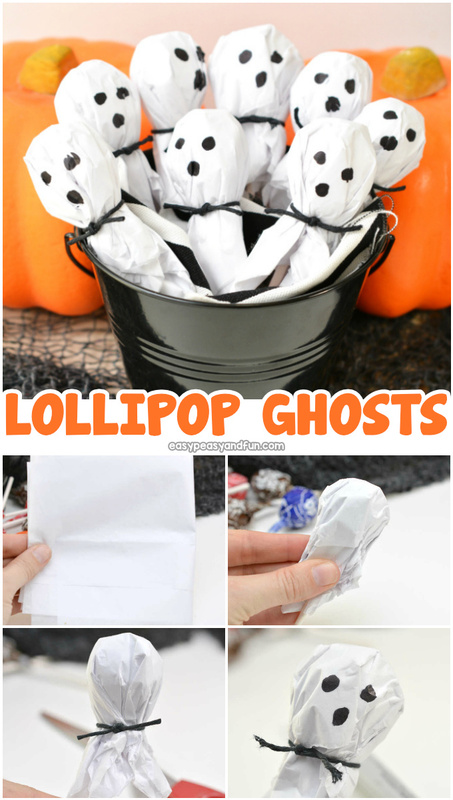 Stick the lollipops down into the tissue paper in your container. 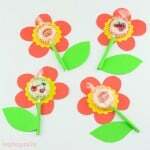 If they do not stand up well, you can add more tissue paper to your container to help stabilise them. 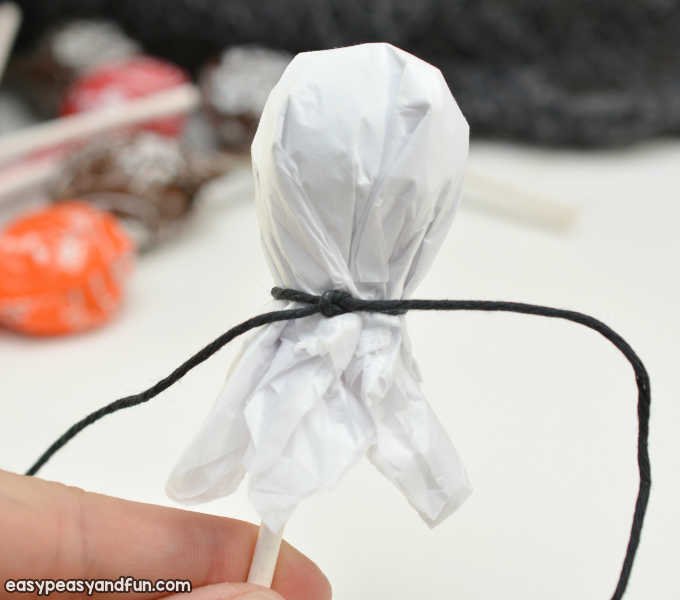 Take your strip of patterned fabric, and weave it in and out of the lollipop ghost’s sticks in the container, and tuck it in on the side. 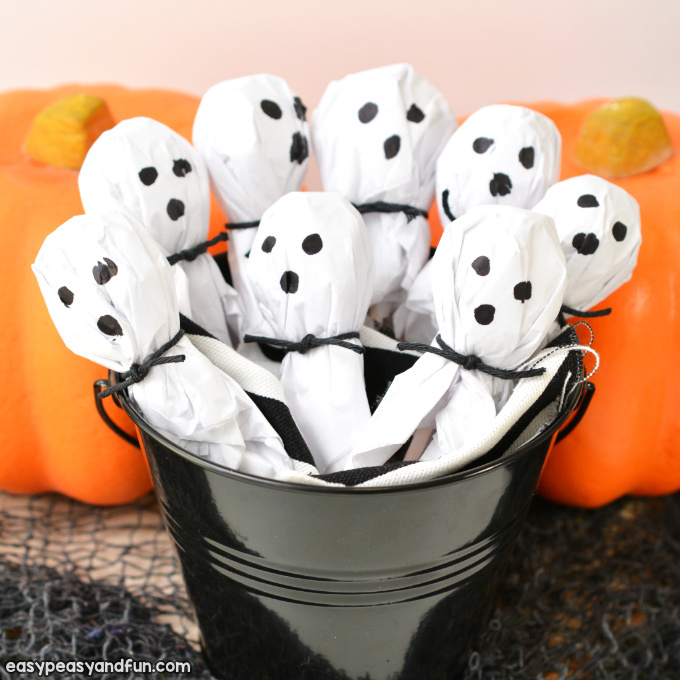 This will disguise the tissue paper hidden in the bottom of the container, and make your centerpiece look nicer.